Black Girl Voiceover World is a seasonal girl-chat style podcast about black women in voiceover. 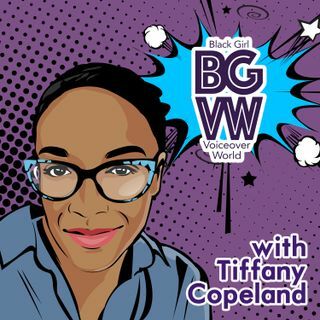 The host, Tiffany Copeland, is a voice actor, business coach and 90's girl. Every other Friday, she chats with a new special guest co-host about voiceover tips, self care. Stick around for a fun game and Chocolate Drops: a recap of the sweet takeaways. You'll laugh, learn and want to press replay.